LONDON/BRUSSELS (Reuters) – Britain’s weakened Prime Minister Theresa May arrived in Brussels on Thursday to lobby European leaders for help after she survived a parliamentary mutiny that highlighted the deadlock over Brexit. Brexit Minister Stephen Barclay said May, who has been shuttling round Europe for months and will attend an EU summit until Friday afternoon, would seek assurances Britain would not be tied to the European Union indefinitely post-Brexit, as her party critics fear. The “direction of travel” was in Britain’s favor, he said. 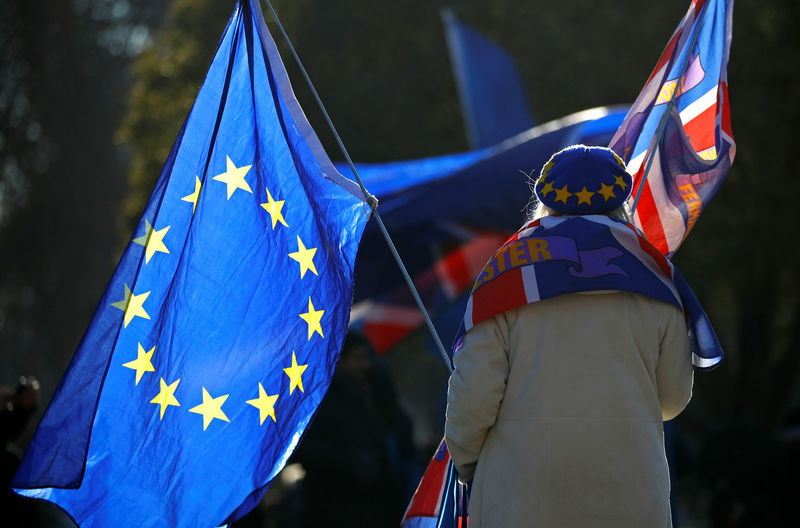 However, no vote on the Brexit package was included in a schedule of parliamentary business for the coming week before Christmas and European leaders look unlikely to offer immediate support. A draft EU statement said they were merely “ready to examine” whether further assurance can be given. Earlier this week, May pulled a parliamentary vote on her deal, designed to maintain close future ties with the bloc, after admitting it would be heavily defeated in the House of Commons. She has pledged a new vote before January 21 but faces a tall order to convince skeptical lawmakers. May, who met Irish Prime Minister Leo Varadkar in Brussels and will shortly see EU summit chair Donald Tusk, wants legal assurances that the Irish “backstop” would not remain in place indefinitely. The backstop is an emergency fix to prevent extensive border checks on the island of Ireland and is the most contentious element of the deal. EU states were not in agreement on the text on Thursday morning however, and diplomats in Brussels expect it to change. They suggested the bloc may be readying more solid assurances for May in January. May, who said on Wednesday she would not be standing in the next election due for 2022, has to secure some improvement on her deal if she is to have any hope of parliamentary approval. “The prime minister must realize that, under all constitutional norms, she ought to go and see the queen urgently and resign,” said Jacob Rees-Mogg, leader of a hard Brexit faction, after the confidence vote result. Dominic Raab, who resigned as her Brexit minister after the deal, said he could not see how May could go on as leader.